You’d think most speculative fiction writers would have a handle on being unrealistic… After all, we spend as much time as possible inventing things, living in imagined worlds, and bringing impossible situations and characters to life on the page. But when it comes to framing our personal goals and trying to reach for our dreams, many of us forget that being a bit unrealistic is often what it’s all about. Luckily, in this week’s Tuesday Therapy session Kim Falconer reminds us about exactly this point. 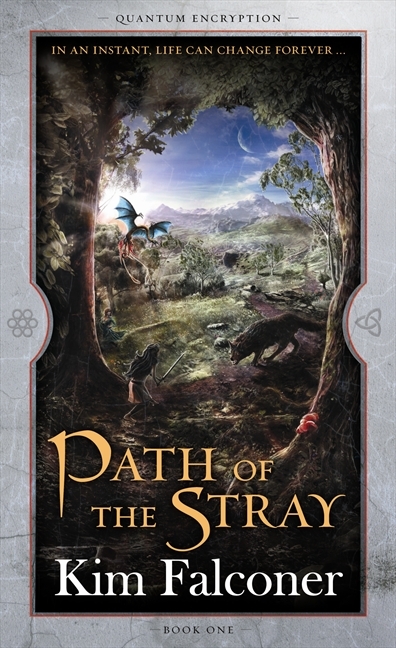 Kim has had six novels published with HarperVoyager, and she is currently co-writing a new three book series with her son, Aaron Briggs (who created the lovely covers for Kim’s second series, including Path of the Stray, seen here). How cool! A lot of advice for emerging writers centres on ‘being realistic’, like you can’t get an agent if you haven’t published, you can’t get a major publisher without an agent, writing is very hard work, only write what you know, what $$$, rejection du jour, it’s tricky for Australian authors to publish their works overseas, keep your day job . . . and many more. Such advice is enough to sink an emerging writer into a bout of depression! Is the advice realistic? Probably. Do you let that guide you? No! I highly recommend these five unrealistic steps to landing the publishing deal of your dreams. Step #1 Forget about being realistic. Stop thinking about the practical advice and the ‘cold hard facts’ and develop your craft. If you have a dream, something you are enthusiastic about, develop the skills to deliver it. All the storytelling talent in the world won’t fly if you don’t have the skills to communicate your vision. Develop them! Step #2 Think in terms of component parts. You don’t set out to write a 500,000 word, three book series. You don’t even set out to write a single novel. You get up in the morning and you write five hundred words. You do that for a time and get some confidence and maybe after a while you find yourself writing a thousand words a day. Then two thousand. In a year, you have a solid manuscript. In ten years, you have more than you dreamed possible. Step #3 Say you can do it. He who says he can and he who says he can’t are both correct. Confucius. Think about that for a while. Step #4 Know your motivations. There is no ‘right’ or ‘wrong’ motivation for your artistry. It might be that you want to prove something to the world. You might want to feel of value. You might be obsessed with telling a story that will touch people’s hearts. Whatever your motivation is, know it. Know thyself. The awareness of what drives you is your touchstone. Use it. Step #5 Decide, devote, deliver. Just decide that you will do it, that you will achieve your dream. Devote your whole heart to it, and allow for compassion for others and the planet to be part of that devotion. Deliver what you promise to yourself and to others—your daily word count, your article deadline, your publisher’s request. Bonus tip. Remind yourself to go for the unrealistic. I mean, what if we’d listened to any of this ‘realistic’ advice? The singer (Mick Jagger) will have to go; the BBC won’t like him. -First Rolling Stones manager Eric Easton to his partner after watching them perform. You better get secretarial work or get married. -Emmeline Snively, director of the Blue Book Modelling Modelling Agency, advising would-be model Marilyn Monroe in 1944. With over fifteen types of foreign cars already on sale here, the Japanese auto industry isn’t likely to carve out a big share of the market for itself. Business Week, August 2, 1968. There will never be a bigger plane built. – A Boeing engineer, after the first flight of the 247, a twin engine plane that holds ten people. 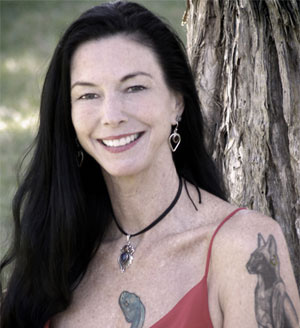 Kim Falconer is a speculative fiction author writing epic science fantasy novels set in the worlds of Earth and Gaela. Kim’s latest series is Quantum Encryption. You can find out more about her at kimfalconer.com or her daily blog. Tags: aaron briggs, harpervoyager, kim falconer, path of the stray, tuesday therapy, writing advice. Bookmark the permalink. Thank you. I needed this so badly. Lisa, thank you for inviting me here. You’ve a fabulous blog and it’s a treat to join in! I wish that someday I would be able to read Kim Falconer’s works. They are a bit inaccessible for me at the moment, due to various reasons, but with the electronic book market growing who knows. Although I would certainly love to have her novels in physical editions. Thanks for commenting, Mihai. I’m only published in Aus and NZ but fishpond.com ships them worldwide, for free 🙂 It’s a new thing, I think but ppl in the states are getting them for less than I can get them here! Thank you very much for the site recommendation. I didn’t know about that one, I was relying heavily on the Book Depository. I’ve popped the link up on my blog and website. The Book Depo has the first series I think, but Fishpond.com has them all! 🙂 Cheers for the world conquering support! Onward and upward! The Confucius quote is my favourite. It can be applied to pretty much every area of life.